Covers are the most fun part (apart from the story) of books and I love it when designers get that. 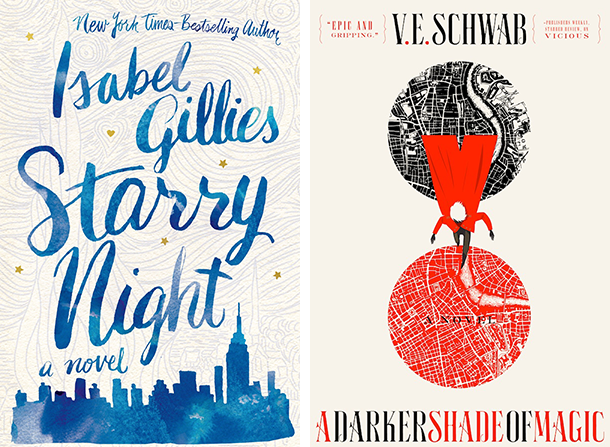 Recently, there has been a surge in artsy covers in YA and if every cover was as artsy as these, I’d happily buy all of the books (as if I don’t already). (Still pretty books equals a happy little reader). What is it about maps and ampersands that get my attention? 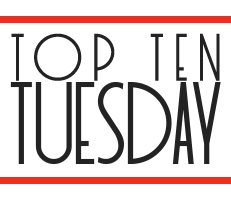 In a few words: wanderlust and the best looking logogram ever. ‘Nuff said. Tapes are the best looking recording media to have ever been created by man and they look super good on book covers. When it comes to cityscapes, I think there are so many ways to play with them and still get a classy look. Am I right or am I right? What covers did you choose to feature? Thank you SO much for posting some cover love. I think I might kidnap a couple of these to highlight in my own cover appreciation posts. Great post! I'm definitely more inclined to read a book with covers like these. YESSSSSSS. OMG can you imagine if publishers sold blown up posters of covers? 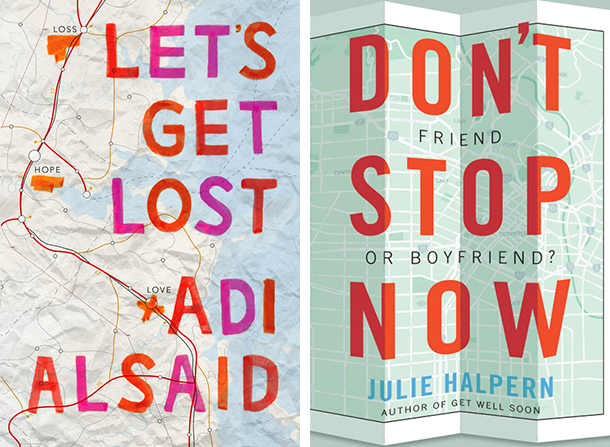 My wanderlust is flaring up again as I look at the covers with maps… Hm. I'm also digging the typography for a lot of these covers too, and the handwriting for Starry Night is gorgeous! Too bad my own handwriting looks nothing like that, haha. Maps! Wanderlust-FTW! 😀 Also you have got to check out the cover for John Green's Paper Towns-MORE MAPS. P.S.- Have you read Don't Stop Now? How was it? I cannot wait to read Let's Get Lost! I love everything about the cover. And the cover for Starry Night is gorgeous! I want it. Now. Those covers are all so pretty. I just want to take them, frame them, and stare at them all day. I have not heard of some of these books, but now I am compelled to go search them out. I will only agree about the cityscapes and the maps. With an interest in lettering, I've seen so many lovely ampersands that I get bored of them now. And as for casettes, my heart has been taken by these things and I feel that nothing else can compare. I mean, I still have them on my mind and I want one really badly because they're so cute. If you do check out that link, oh tweet me Sana because I need someone else to discuss about the cuties. But I love the one for maps and cityscapes. I didn't enjoy because I'm just heartless like that, but Don't Stop Now's cover is so minimalist and lovely. The only ampersand that I like is Eleanor & Park, but that is all forms of cute. And then there's Starry Night and A Darker Shade of Magic. The one for Darker is just so lovely, but I don't know how it ties in with Vicious unless I missed a redesign. I really like covers with maps too, especially Let's Get Lost! I am not a huge fan of the maps but I do love the ones you chose for Ampersands! I agree with the maps and ampersands too, I've never thought about that category working for me. I think simple design and great typography is key to it though. I love ampersands. They're like the treble clef – simply so pretty to look at. I think they add a lot of sophistication to a cover which is why Eleanor & Park is one of my favourite covers! Cityscapes are really cool too. There's a new book coming out (A Thousand Pieces of You?) that has two different cityscapes on the cover blended really nicely together. Such a pretty cover! I can't stop staring at the first two covers – I love the maps and color schemes for both. But really seeing Let's Get Lost on all these lists today is just making me more impatient for the release date! I really like the cover from Let's get lost 🙂 A darker shade of magic is such a weird yet unique cover, I love it.